Now, from time to time in this space, I may kid the UFT President a little. He seems to think, in the wake of the budget agreement and its preposterous statewide evaluation plan, that we've won a battle against Governor Cuomo. Given that, I shudder to think what it will look like when we lose one. In addition, his caucus, with absolute power over union decisions, has a record that's abysmal at best. It's supported mayoral control, school closings, charter schools, co-locations, the Absent Teacher Reserve, Common Core, junk science evaluations, substandard contracts, and a whole lot of things I could perhaps remember if I gave it another five minutes. But it's not all bad. There's a chance to do something here. Now that Merryl Tisch has insisted we delay the awful evaluation system, the one for which Michael Mulgrew thanked the Heavy Hearts club, there is a whole extra year to renegotiate it, including a budget vote. This might be a good time to let the heavy hearts know that union leadership will not support a nonsensical and hurtful evaluation scheme after all, and that communities have got the right to rate their own teachers in their own way, even if it means they may spend a few millions less on Pearson's Pineapples. It might be a good time for the folks at 52 Broadway to show how smart they are, rather than simply waiting for Mulgrew to report it to the DA. I am unpersuaded by the argument that, since a teacher rated ineffective on test scores could be rated developing overall, tests don't count for 50%. First of all, it is ludicrous to say that a teacher rated effective or highly effective via observation is developing overall. What exactly is that teacher supposed to develop? Test prep skills? 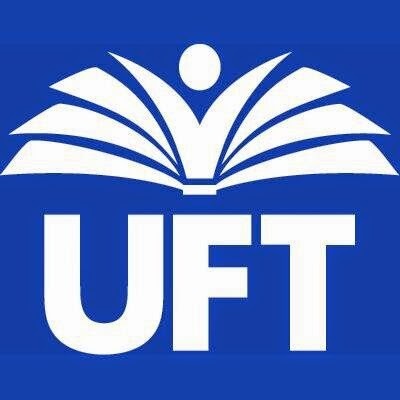 Furthermore, the system the "matrix" is replacing was the best thing since sliced bread according to UFT, which took pains to slam brilliant activist principal Carol Burris in the process. Since UFT contended that the old system was the bestest thing ever, and since UFT contends that the new system is the bestest thing ever, since getting 22 components of Danielson instead of 7 was a victory, since getting 8 instead of 22 was a victory, since getting the UFT transfer plan (which I used) was a victory, and since losing it and creating ATRs instead was a victory, since everything that happens is a victory no matter what, it's tough to take them seriously. I teach beginners. They know little or no English, and will score poorly on standardized Common Core tests. It takes maybe 3 years to acquire a language, maybe 5 to 7 to acquire the academic language on which they'll be tested, and this varies wildly by individual. What with independent evaluators who know nothing about my kids and ridiculous test scores, I figured I had two good years before Cuomo fired me. With the delay I figure I have three. I'm in a position where being fired will not cause me to live in a tree or eat cat food. I worry about many of my colleagues, about my students, and about my own kid, any or all of whom could wish to follow in my footsteps and become a teacher. While I think teaching is one of the most important and rewarding careers there is, I can't in good conscience ask anyone to pursue a career in "gotcha." Leadership owes it to us, and more so to those who follow us, to vigorously pursue something better. Cute though they may be, hashtags aren't gonna cut it this time.